Adobe Premiere Pro provides support for several audio and video formats, making your post-production workflows compatible with the latest broadcast formats. However, when you add video files like MP4 to Premiere Pro, you may come across problems. This article focus on why we have problems using MP4 files in Premiere Pro and provides a quick and easy solution. Why Sometimes Can't Import MP4 to Premiere Pro? 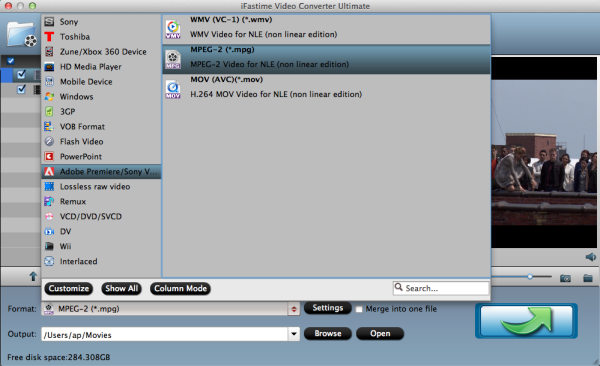 Adobe Premiere Pro only supports importing MP4 formats with two kinds of MP4: the one is Sony and JVC introduced XDCam-EX movie (.mp4), the other one is Apple created MPEG-4 (.m4v), not all kinds of MP4 formats. Some MP4 files from like GoPro, Hybrid camcorders and other devices cannot be accepted by Adobe Premiere Pro. 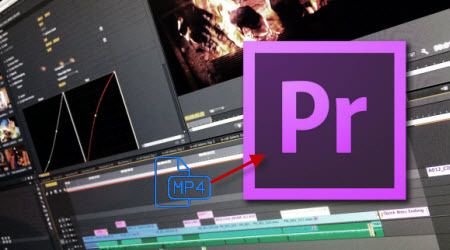 To use MP4 video in Adobe Premiere Pro smoothly, a good suggestion is to either change the H.264 MP4, XDCAM EX MP4 clips to something Adobe Premiere Pro could natively handle, and a mpeg2 codec was usually ideal, or directly turn this MP4 video to Adobe PPro supported MP4 format. 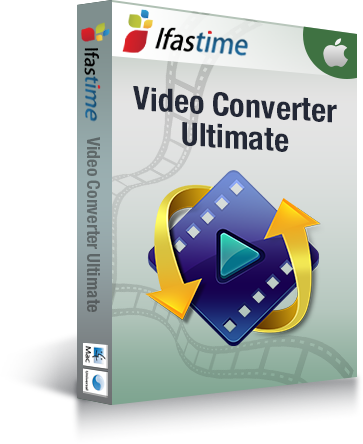 Luckily a powerful third party tool- iFastime Video Converter Ultimate for Mac is able to do both of the above conversion: re-encode MP4 into MPEG-2 or MP4 file type for Premiere Pro on Mac (El Capitan, Yosemite, included) maintaining whole audio & video information. Besides, this software can help you turn more videos like AVI, MP4, FLV, VOB, MXF, MTS into other NLEs with professional codecs, like Apple ProRes for FCP, DNxHD for Avid, AIC for iMovie and more. Just download it and follow the tutorial below to re-encode MP4 into MPEG-2 for working in Premiere Pro. Step 1. After downloading, install and run this Mac MP4 to Premiere Pro Converter, just import the MP4 files to the software for converting. Step 2. Click "Format" bar to choose the output format. Click and choose "Adobe Premiere/Sony Vegas" > "MEPG-2(*.mpg)". The setting seamlessly fits Premiere Pro CS4/CS5/CS3/CS6 and CC. Step 3. Finally, hit the "Start conversion" button at the bottom right corner and the conversion from MP4 to Adobe Premiere Pro will begin immediately on your Mac. The Mac MP4 converter for Adobe Premiere enables users to adjust audio and video settings before transcoding MP4 files to MPEG-2. Click "Settings" button, then you will enter the following interface, on which you are allowed to customize size, bit rate, frame rate, sample rate, and audio channel to your required ones. 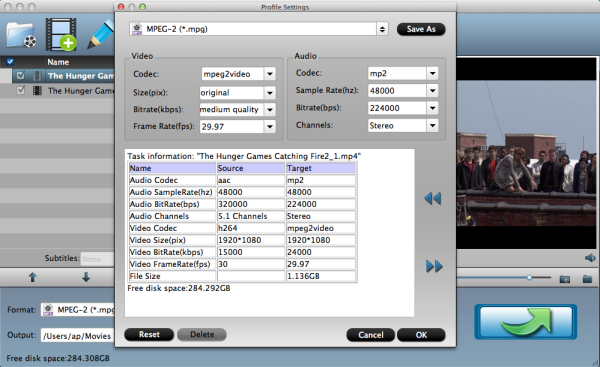 This Mac video converter has some simple edit functions like cropping, splitting, adding effects etc. so you can touch up the video with basic video editing functions. After the conversion is complete, get the resulted files via clicking the Open button and then you can import converted MP4 files to Adobe Premiere Pro CS4/CS5/CS3/CS6/CC in Mac for further editing without any hassle. Wait no more, just have a try! Can Xbox 360 access MP4 files successfully?